A sixth whale was freed into shallow waters overnight but it beached again and had to be euthanized. Authorities said they will continue to sweep the surrounding beaches by air and sea on Saturday. Rescue efforts were hampered by dead whales in the water, rocky terrain and rough seas. The carcasses were removed from the beach and authorities took DNA samples in an attempt to collect clues about why whales strand. 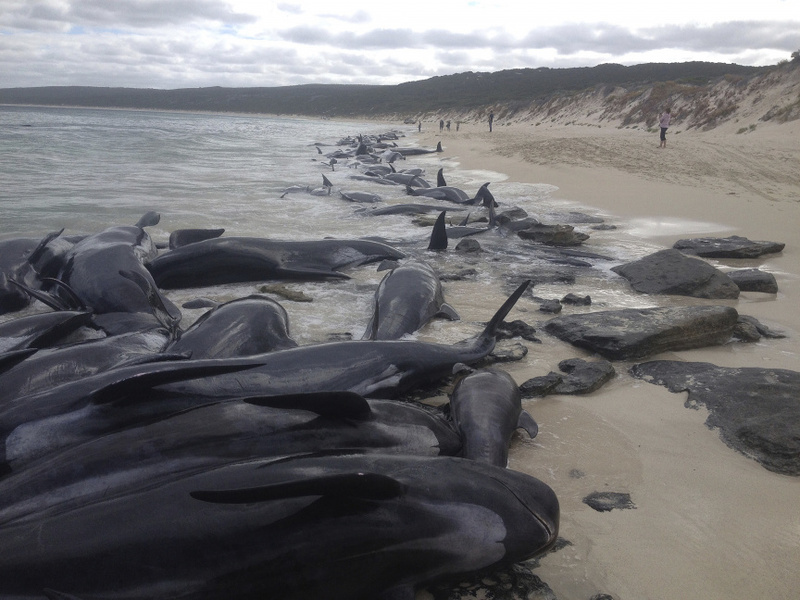 In 2009, more than 80 whales and dolphins died on a beach in Hamelin Bay. The biggest mass stranding of whales in Western Australia happened in 1996 in Dunsborough. That year, 320 long-finned pilot whales beached themselves.